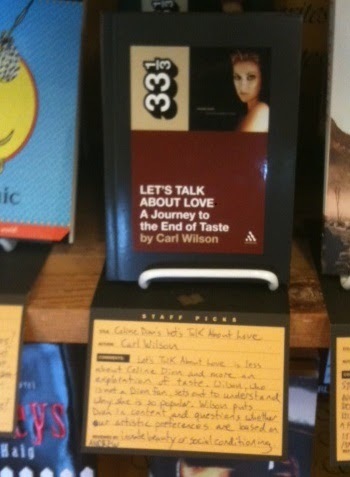 Staff recommendation from Ravenna Third Place Books for Carl Wilson's 33 1/3 on Celine Dion. "Let’s Talk About Love is less about Celine Dion and more an exploration of taste. Wilson, who is not a Dion fan, sets off to understand why she is so poular. Wilson puts Dion in context and questions whether our artistic preferences are based on innate beauty or social conditioning.